A robust beer not for the faint of heart. 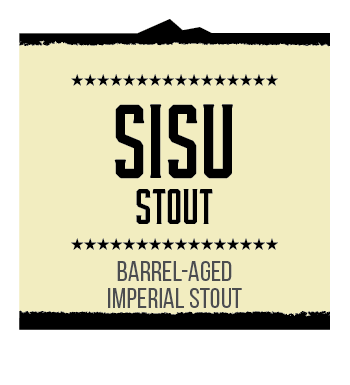 SISU Stout’s rib-sticking malt bill creates flavors of chocolate, roast and caramel. Nine months aged on bourbon barrel oak has tempered hop bitterness to a velvety smooth finish. The nose is a mix of oak, vanilla, maple and a mild smokiness.